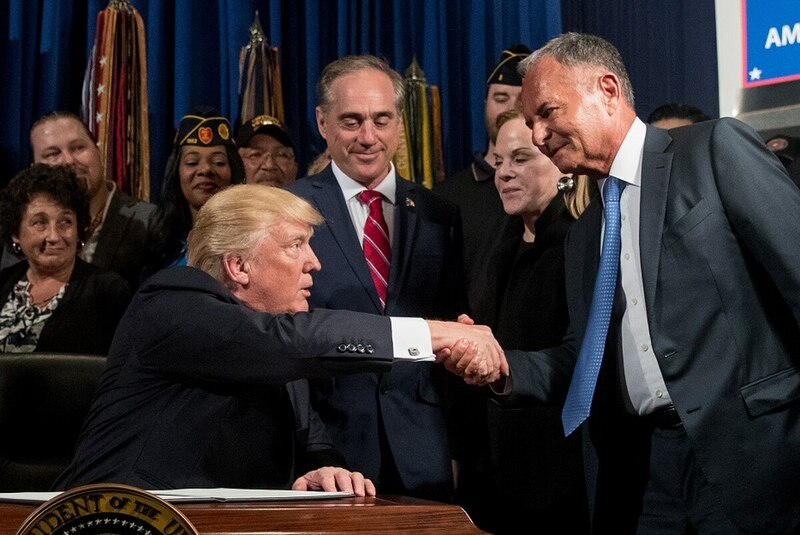 WASHINGTON — Congressional Democrats are demanding the White House clarify who is leading veterans policy efforts for the administration after a ProPublica investigation found evidence a trio of executives with personal ties to President Donald Trump have been privately influencing department decisions. In a letter to Veterans Affairs Secretary Robert Wilkie, Walz is requesting the department turn over copies of all communications VA leadership has had with Marvel Entertainment CEO Ike Perlmutter, primary care specialist Dr. Bruce Moskowitz, an attorney Marc Sherman. All three are members of Trump’s exclusive Mar-a-Lago resort, and the ProPublica report alleges all three have been working as “shadow rulers” of VA policy from Florida despite having no formal government titles or role. In a statement to ProPublica, White House officials said the three men have no direct influence over the department. But sources within VA told the news organization that all three have sent administrative and program requests to department leaders in recent months, and been closely involved with department hiring and firing decisions. In his letter to Wilkie, Walz called the report deeply disturbing. “Three private individuals … who are not accountable to veterans or taxpayers and none of whom have served in the United States military or government, have been placed in decision-making positions in the department without nomination by the president or Senate confirmation,” he wrote. Similarly, Democratic New Hampshire Sen. Maggie Hassan called on the White House to explain what role the men have in crafting veterans policy. Rep. John Sarbanes, D-Md., said the confusion was further evidence that the White House needs to make public its visitor logs and membership information for Trump’s private resorts. Being wealthy enough to pay Mar-a-Lago membership fees doesn’t qualify you to make life or death decisions for the brave men and women who honorably serve our nation. Walz requested the documentation — along with details of VA employees visits to Florida to discuss veterans issues with the men — by the end of the month. Wilkie was sworn in as VA Secretary on July 30 and thus far has made no public statements about the three businessmen or their influence on department policies.